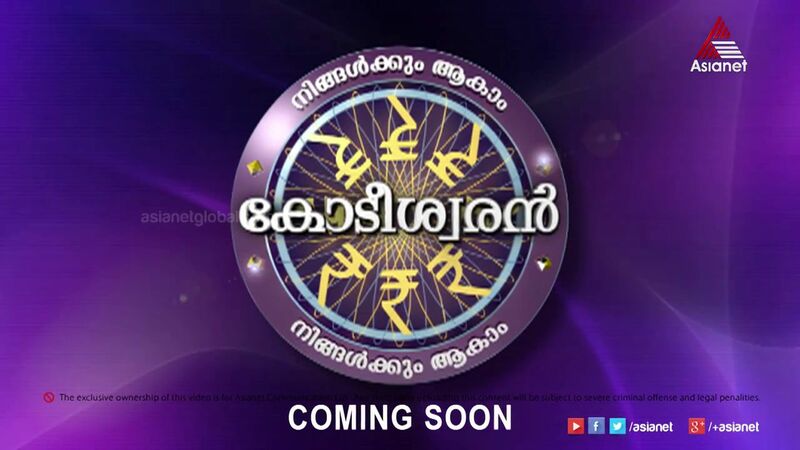 Asianet announced the date of questions for the most awaited game show Ningalkkum Aakam Kodeeshwaran. Season 3 of Malayalam Kodeeshwaran Will Start Very Soon on Asianet. To Enter the game show you need to answer to the questions. First Question of Ningalkkum Aakam Kodeeshwaran Will Ask on 30th October 2014 at 6.30 P.M. Ningalkkum Aakam Kodeeshwaran Aka NAK is the Malayalam version of the Popular game show Who Wants to Be a Millionaire?. 1st Season of NAK is started on 9 April 2012. The first season of NAK is completed on 23 August 2012. The Game Show NAK is offering 1 Crore Indian rupees to the contestants if they answer all 15 questions correctly. So far in the history of NAK only one pass the milestone, its Sanuja. For The First Question of Ningalkkum Aakam Kodeeshwaran Season 3, Please Stay tuned Asianet. Keralatv.in website will update the questions and options of NAK Here. You can check the Questions for Kodeeshwaran From Here.